Today there are billions of user that are using android device and they love it as android provide lots of characteristic for their users and talking about one of the basic feature that’s pattern lock is very helpful to secure android device. Same as, in windows Operating System there is password type security, but what if your windows open with a pattern, seems impossible not it’s not. Yes, you can set this pattern lock in your window. 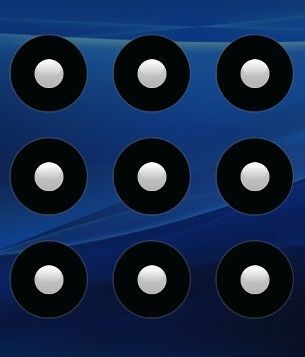 In this article we learn How To Set set android pattern lock for window. Step 1. First of all you need to download Maze Lock For Windows. Step 2. Now launch this application on your desktop and you will see screen like below. Step 3. Here Z is default pattern that you have to reset by clicking reset pattern button there. Step 4. Now make a pattern that you want to set and it’ll ask you to remember the password and then make backup of password that you should do. Step 5. Now click on General tab above and there you will see first option Autolock at windows startup turn it on. Step 6. Now see all the options and edit according to your wish and then click on ok. Step 7. That’s it you’re done now you will need to make this pattern to unlock your PC while starting the windows. //BUT, WAIT…THERE’S PROBABLY MORE SIMPLE TIPS & TRICKS SO BE SURE TO FOLLOW US ON TWITTER & GOOGLE+ or LIKE OUR FAN PAGEFACEBOOK.